Creating a Whatsapp with invitation link has almost seemed impossible for the ignorant, but today I've come with a simplified post for that. As I mentioned earlier, you know you can create Whatsapp group with invitation link too and there you can add lots of members. But before continuing, let's see the bad side of using the invitation link. 1. With the invitation link, anyone can join the group without admin's approval. 2. The admin of the group will have to be sharing the invitation link. 1. Anyone can join group as they have access to the invitation link. 2. You can add any member to group without adding their number to phone book. First of all, you have to uninstall your Whatsapp from your device. Note:: You should be an admin of that group which you want to make invitation link. 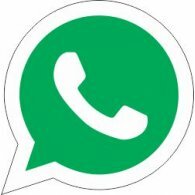 Prime App and open your Whatsapp account. Then select the group which you want to generate Whatsapp group invitation. Once you open the group, then click on group info option then click on (Add Member) option. Now you will see "Invite to Group via Link” option just click on it. Upon clicking it, then a link will shown, you just copy it by clicking copy option. That’s it. You have successfully created Whatsapp Group Invitation Link. Now share it with your friends to join your whatsapp group.